-a guest article by Heather Kendall, a fellow author with The Word Guild. Christian parents hope their children will remain true to the faith when they leave home. Many churches have large youth groups. But will those young people continue to attend in their twenties? Will they stand firm in the faith when they meet the troubles and trials of life or when they encounter persecution? Will they succumb to peer pressure? Are they knowledgeable enough to refute false belief? This is a subject dear to my heart. Sadly, between 25 and 33% of youth fall away permanently. Most pastors agree. The Barna Research Group in southern California has concluded that the problem is a failure for those in youth ministry to disciple new believers properly. Before trying to help others, let us make sure that we know what we believe and why. We need the four building blocks of faith: prayer, the gospel, the biblical worldview and the big picture in the Bible. The most basic prayer acknowledges who God is, expresses our need, and believes in his ability to answer that need. However, if those are the only elements in our praying, prayer can degenerate into a grocery list of requests. The most important aspect of prayer is time spent in praising and adoring the Lord with a thankful heart. This pleases him. The second block in our tower of faith is the gospel. Do we believe that we are sinners who have rebelled against the one and only God? Do we agree that we deserve eternal punishment? Are we able to tell others the good news that Jesus is the Son of God who left the glory of heaven and took the punishment that we deserve? What love and grace to undeserving sinners! The third block is a biblical worldview. There is a negative and a positive aspect to a believer’s worldview. The negative aspect is a reality check on the difficulties and pitfalls that we face as believers: Satan is real and wishes us ill; the world always opposes us; our own fleshly desires hinder our spiritual growth. The positive aspect is: The Bible is God’s book and is accurate in all it teaches; Jesus is the only Son of God and is the only Saviour; Jesus will never forsake his believers; Jesus is able to take all the misfortunes of believers and turn them into good; Jesus hears the prayers of his children. The fourth block is the big picture in the Bible. 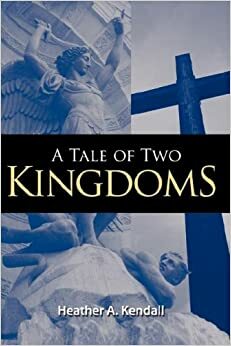 In my first book, A Tale of Two Kingdoms, I trace God’s plan of salvation throughout the whole Bible and show that from the beginning God planned to send Jesus as the promised Seed. When Jesus died and rose again, he became the victor over Satan. It pays close attention to the timeline of the Bible and is suitable for older teenagers and adults who know the major Bible stories but cannot put them into chronological order. My second book, God’s Unfolding Story of Salvation: The Christ-Centered Biblical Storyline, is a Bible study based on the first book. An application at the end of each lesson in the Old Testament states: The Old Testament points to Jesus through preparation for his birth, direct prophecy, pictures or types, and anticipation. Which of these apply in this lesson? For more information check out http://www.tale2k.com. Heather Kendall, author of A Tale of Two Kingdoms (2006) and God’s Unfolding Story of Salvation: The Christ-Centered Biblical Storyline (2012). 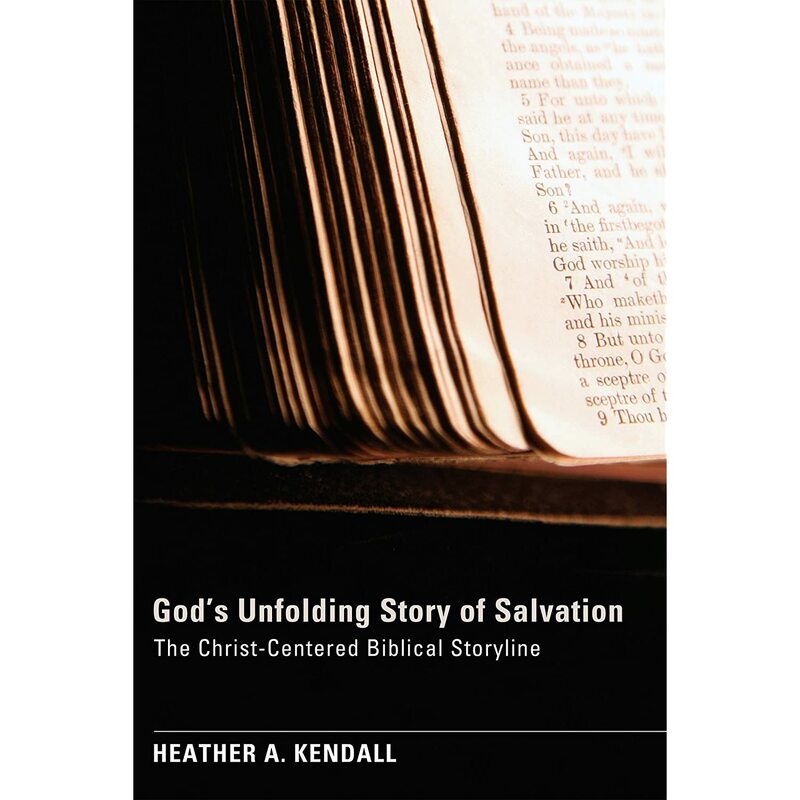 In the 2013 Word Guild Awards, Heather is the winner in the Book-Biblical Studies category — A Christ-centered approach to the biblical storyline. Categories: children, Heather Kendall, Parents, The Word Guild, youth groups | Tags: A Tale of Two Kingdoms, Barna, big picture, building blocks, God's Unfolding Story of Salvation, Gospel, Jesus, prayer, Satan, worldview | Permalink.